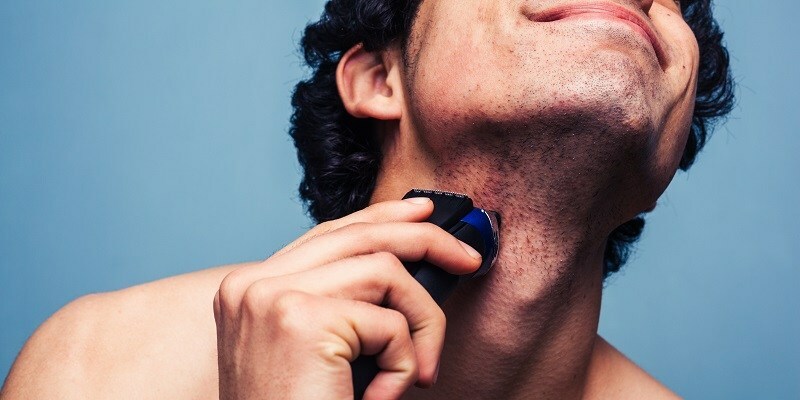 Those electric razors are usually great for a lot of your facial hair needs – it’s a nice, easy way to get stubble taken care of, and they’re awesome if you don’t want to go through the ritualistic stuff that’s involved in wet shaving. (Not that there’s anything wrong with wet shaving at all.) 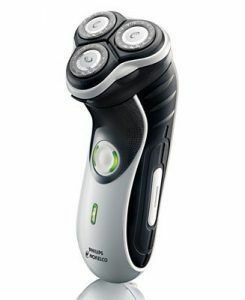 Still, one of the most annoying things that can happen with an electric razor is the cleaning process – there are so many things that could go wrong, like shorting out the device or not really getting all of those little dumb hairs out of it. Before long, you have to take a machete to it like you’re in a 50s-movie safari in order to get it running at all. We’ve had a lot of people ask us about how to clean an electric razor, so we decided to put together a handy, step-by-step guide that is impossible to mess up. Trust me, even the most flustered among you will be able to take care of your business with these steps. You can use this guide to help clean out your favorite mustache or beard trimmer as well, albeit with less mess. Let’s get started! This may seem like a stupid and obvious first step for how to clean an electric razor, but I can’t tell you how many times people (including myself, I’m ashamed to say) simply want to get into the nitty gritty of cleaning without unplugging their electric razor or otherwise cutting it off of power. If your electric razor is corded, double check to make sure the cord is off the wall. Don’t ever assume; see it unplugged before you do anything. Now, the vast majority of electric razors are also cordless, but just to be on the safe side, do whatever you can to make sure that there is no power running through the razor when you work it. Double-check for power switches, reset buttons, and what have you – you can never be too sure. Safety’s the first thing, so you don’t want the blades spinning while you’ve got your fingers in there – it’s not good for you or the razor, just as a rule. Now that you can safely work, now comes the time for disassembly. Every brand has their own unique process, since they’re all designed differently, but the majority of them make it easier for you to clean by letting you just flip up the top of the razor so you can get behind the little shaving heads. There are often little detachable frames holding the shave heads in place, so go ahead and take those out. When learning how to clean an electric razor, you’ll find you want a little bit more than just some water; before you even start, gather some proper cleaning supplies, like isopropyl alcohol, electrical contact cleaner, toothbrushes, et cetera. Start with the heads; keep the water as hot as possible when you rinse, since that will help to sanitize the shave heads and keep them clean of bacteria – so at least as hot as you can stand without burning yourself. Let the water do most of the work, but soak the heads in cleaning solution and scrub with your toothbrush to get the rest of the debris out. Small bristle brushes work great, and your electric razor will usually have those for you, but they’re easy to lose – just keep your last toothbrush after you switch the ones for your teeth, and use the old one just for little jobs like these. Trust me, it’s a great way to recycle stuff and also put your old things to good use. Just repeat ad nauseum until the whole thing is cleaned out. As soon as everything is crystal clear and clean, it’s time to put everything back together! This is the simplest part, provided that you know your electric razor well enough and you have everything laid out so you can see it all. Just do everything in reverse; put back the blades in the shave head, put the heads back in the assembly, reassemble the framework, and snap it back into the electric razor. Go ahead and plug it back in or just turn it on in order to make sure it works like it’s supposed to. If not, take it back apart and mull over it until you’ve found the problem. Once you do, make it right. Voila, you’ve done it! There; now you know how to clean an electric razor; that wasn’t so bad, was it? Now you can keep that buzzer nice and clean so you don’t stick it up or have to throw out an expensive $70 piece of plastic just because your face-forest got it all messed up. Best of luck!